WildFishGems: natural untreated gemstones since 2003! With over 1500 certified gems, our inventory remains the biggest and only* selection of all-natural gemstones on the web (and probably elsewhere). All gems have been tested by independent 3rd party laboratories. Grading papers and original lab-reports are included free of charge, documenting value for coming generations. Our company belongs to a new type of organization, made possible by modern technology, the 'Multi-National Micro-Cooperation'. We employ people in dozens of countries at any given time without the overhead of traditional global enterprises. Legally, we are based in the USA and the UAE, but Europe is our working back-yard. From there we serve customers in over fifty countries, shipping inside the European Union (plus U.K.), the USA, Canada and the rest of the world, always free of charge. We don't try to be cheap but take pride in what we do, and how we do it. Every month we help financing the legal battle for animal rights by the NonHumanRightsProject. 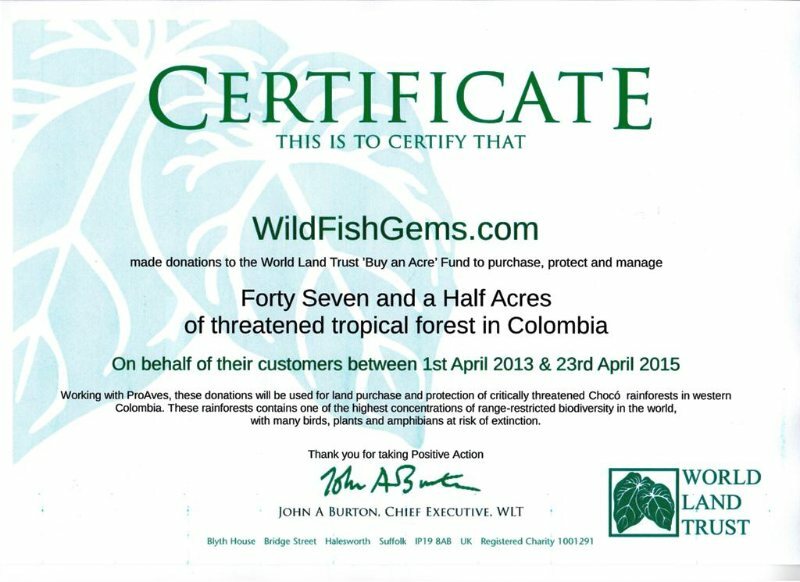 Each gem buys one thousand sqm of endangered rainforest with the WorldLandTrust, documented by a deed issued to you, or a person of your choice. Fair trade, ecological- and social-responsibility have been at the root of our business, long before they became 'fashionable'. * Tell us if you know anybody else. We welcome like-minded companies. Selling? Please read here and write us a message. In the 70s our parents migrated from cold Europe to the warm Indian Ocean. Our mother opened a restaurant on the beach and our father exported gems to Europe. Children then, we stood gazing at those sparkling little treasures. Things went well for some years, but then a long and bloody war drove our parents out of the country. Nothing they had built up survived. Nothing, that is, except a sapphire crystal that I had traded in my best pocket knife for. During a peaceful interlude in the civil war we came back to Sri Lanka and founded Wild Fish to specialize in Ceylon gemstones which have not been treated with radiation, chemicals or heat. To get access to untreated rough gems, we followed the supply chain up into the mountain forests. There we discovered the social function of a "Mudhalali": A Mudhalali (Sinhala for "protector") is a mixture of investor and godfather. He helps out miners and their families in need and in case of emergencies. Thus we started to buy licenses, sponsor water pumps and help injured mine workers. We organized emergency food, replaced broken tools and fixed broken bones. After a while Wild Fish became Mudhalali at a number of mines. It is risky, illegal and underpaid. Not because a good gem is not well paid for, but because good gems are actually extremely rare. Weeks, months of back-breaking labor may pass without sight of a single valuable stone. (only one out of 1000 will receive an "excellent") So it often happens that there is not much to sell at all. Without a Mudhalali, who jumps in and provides food and supplies, the work would stop and, worst case, people would starve. Over the years a mine worker will most likely not earn more than he would by growing corn or selling lunch packets. found in a river bed. We hardly know any miner who still has all ten toes and fingers. The odds against them are high: unsecured shafts, falling rocks in the size of a fridge, rotten ropes, dimly lit tunnels, rusty tools, drunken fellow workers, malaria... you name it, they've got it. Of course some mines do have government licenses, but a lot don't, partly because they prefer to spend the money elsewhere, partly because licenses are impossible or hard to get. Large regions of Sri Lanka are completely closed to mining but keep on supplying the best stones. Frequent police patrols make miners run as soon as they see somebody approaching. A few days in prison, until the Mudhalali bails him out, are normal for an underpaid miner with seven fingers. But... why on earth do they do it? The answer is simple: Hope. Hope that under the next layer of gravel, with the next full moon, beside that stream or under those trees, there is the one big padparadscha that will pay for all the fruitless hard days. Normally it is not there.... But miners are masters of self-motivation. 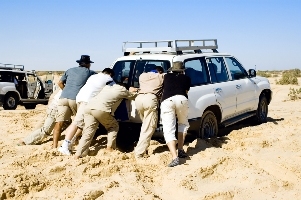 Every sales-rep can learn from the today-is-the-day program with which these guys jump into the mud every morning. Mining can be devastating. Gem mining is a major ecological threat in Sri Lanka (and elsewhere). Despite the efforts of governments to control development, complete landscapes are destroyed by illegal (and legal) mining. The pollution of rivers is most visible. 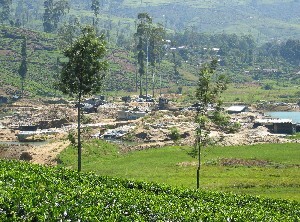 Traveling in Sri Lanka, you can see the suffocated rivers along the mining areas. This is the result of miners washing tons of gravel in the river, which releases a constant flow of mud into the water and throttles practically all life downstream. Instead of dumping the mud in the river... ...we can bring the water... to the mine. The roaring pumps were less romantic, but spared the fish (hence our name, given to us by the miners, surprised that we cared about the: "wild fish"). Not to mention the backs of the men who before had to carry tons of gravel through the jungle every day. All in all, gemstone mining is one of the toughest industries especially in the so called 3rd world. We are no charity organization but we do better people's work and life conditions wherever possible. Everybody carries his share; and is responsible for how he treats his resources, humans and nature. AND: Sustainable development must be profitable to make room for develpment. We increased the value of our mines by separating untreated stones to be sold with a premium. In the past the miners didn't know anything about what happened to their stones. Though they were miners for generations, most of them had never(!) seen a facetted gem at all. Now they sell the geuda on the usual market and get extra for the natural gems. Remark: The term "sustainability" is usually describing the non-destructive, maintainable use of natural resources, as opposed to "overexploitation". In the gem trade, with basically non-renewable resources, we use the term "sustainable mining" to express concern for the environmental and social welfare of the gem country. Non-sustainable mining would mean the fast and industrial exploitation of gem resources without improving the future life conditions of the local communities by education and health care. As far as the British got. Our first lapidary was in an area called "World's End," which is a very appropriate name given by the British when they tried to go south from Kandy and were stopped by enormous cliffs in the middle of the jungle. There, 1500+ meters above sea level, we also sponsored two mines. We employ experienced faceters as well as beginners. Though experimenting comes expensive sometimes, we encourage and train our people to develop new styles and unique shapes. Cuts from Third World countries are called "native" or contemptuously "jungle" cuts. Those looking down on the local lapidaries should try and work with old machines in small, dimly lit rooms, fighting with power-cuts and language problems; and then judge again. Despite these circumstances the local faceters frequently come up with amazing work. Especially when set free of time pressure (they were used to have less than 1,5 hours per stone), we have seen some good results. 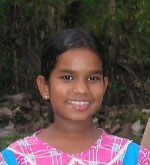 In 2005 we started to reach out to mines beyond Sri Lanka. 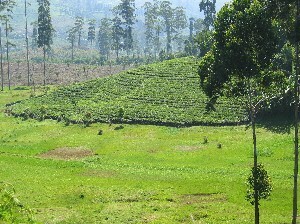 We did so mainly following the demand of our clients for varieties we did not find in Sri Lanka. Since Colombo has fallen back into civil war, alternative sources may become a matter of survival for us. At any rate, fair trade, ecological and sustainable mining are topics that need to be addressed in many, mostly poor countries. The latest scandals around gold mining in Indonesia show clearly that the exploitation of natural resources in the third world is (still) too often carried out on the backs of the local population, and is a disaster for the last intact ecosystems. Don't get us wrong, there is little hope that Indonesian officials care more for the local people and forests than those multinationals they now publicly castigate. In fact, companies relying on functioning supply-chains and a global media reputation (which is linked to stock market values) are more likely to avoid local havoc than politicians with Swiss bank accounts. However, we believe in personal responsibility and the ultimate power of the consumer. It is everybody's responsibility to do the best he can within his radius of action. At the end of the day, it is the consumer who decides who is responsible. Encouragingly new initiatives in the gold and diamond market have sprung up to help consumers to distinguish between different suppliers and their policies. Thus the consumer can reward companies respecting human values. Fortunately the gold and diamond market is tightly organized and relatively transparent. The world of colored gemstones on the other hand is perhaps the most fragmented and inscrutable industry on earth. This starts right at the sources: Colored gemstone mining is based on small local operations. That does not hinder the governments of Australia or the USA to exercise a tight control on environmental issues, but the vast majority of gems come from the most troubled and often dangerously lawless regions of the world. Nevertheless, only trade, the strongest and oldest link between nations, is able to unite people across religions and cultures. That is, trade carried out with good intentions. Buying opium from Afghanistan or selling nuclear weapons to Myanmar does not come under "good intentions". Given the lack of infrastructure and institutional support in most gem nations, a grassroots approach is probably the only realistic way of a positive development. Nothing has ever been changed by simply resisting reality. Change can only be achieved by developing alternatives. Hence, a trade embargo against a nation might be a legitimate way of governments to express discontent with a criminal regime, but they will not change it. On a micro-economic level we need to strengthen trade to help people to survive, and build alternatives. Thus, spending money in Burma is the best thing you can do to help the Burmese people. Just make sure it does not go straight to the generals. Every Burmese will help you with this. Update 2016: If all goes well, the new Myanmar will be a full member of the world trade next year. Miracles do happen. Good developments are possible. For the grace of God. Update 2018: Not all goes as planed in Myanmar. I won't judge the lady but that much suffering can't be right. The same counts for Afghanistan. The normal Afghani miner has little love for the Taliban, but fears them as much as he does fear any person carrying powerful automatic weapons (be it Kalashnikovs or M16) and the will to use it. Like everybody he simply needs to make a living. Until that is secured he will not have any mind for ecological or social thoughts. If we refuse people the right to participate in global trade we will only isolate them further without building any alternatives. As we grow our work continues. Obviously we can not access all mining operations as we wish. To the wild corners of Afghanistan or Burma even the local dealers fear to go. Wherever we can not directly influence the local mining we set up funds (between 5-10% of our proceedings from the area) to help with what is needed most, be it schooling or micro-loans. Sometimes we sponsor individual families; sometimes we have to rely on charity organizations. Often it does miracles simply to provide people with a new sales channel for their products. In each case we take very good care that our money goes only to deserving hands. Listen here for an insight into work on the ground. Every customer gets a land certificate from WLT in his/her name. So far, we bought 62 acres of rainforest in Columbia. This land will be remain untouched for future generations. If you like to join our efforts, see here. "The Nonhuman Rights Project is the only civil rights organization in the United States working to achieve actual LEGAL rights for members of species other than our own. Our mission is to change the legal status of appropriate nonhuman animals from mere “things,” which lack the capacity to possess any legal right, to “persons,” who possess such fundamental rights as bodily integrity and bodily liberty. Our first cases were filed in 2013 on behalf of captive chimpanzees; we plan to continue to file as many lawsuits as we have funds available." We believe this to be the most promising path to a new and fair relationship with the animal kingdom. Why should you care? Well, we do. Born 1970 in Berlin, (was) migrated to Sri Lanka in 1973, studied economy in Munich. Lives with her husband and two kids in Germany. Born 1968 in Nagoya, Japan. Studied science and national economy in Tokyo. Married. One kid. We deliver daily to jewelers and gem lovers all over the globe. Are you a miner, trader or jeweler? Are you willing to contribute to the progress of your mining community? Would you like to sponsor a project in a mining country? Promote your project. Present your work. we sell only the very best 1%. Though you will find many bargains on this website, especially with one of our monthly sales, this is not the place where international penny-pinchers buy their gems. They're welcome to read, learn and have fun; the web is free for all. BUT: We sell only the very best and quality is never cheap. To buy cheap, take risks on ebay or try your luck on the many international low-cost websites. Be patient to find a suitable gem in one of the often excellent but small inventories of hobby traders. Take your time to bid and win in gemstone auctions, or bet on pre-loved jewelry. Some precision cutters have fine gems for retail. You can find almost-not-for-profit bargains on the web (any accountant can tell). Even yard sales have been known to yield real gems, rare but possible. We don't compete on cost. Keeping an inventory like ours is not a hobby venture but serious business even if we are a small company compared to the NSC, BlueNile or such old-world mammoths. Personal service and high quality does not come cheap. Buying lab reports for every new gem BEFORE it goes online, as only we do, for example, is not a service for penny-pinchers. Do the math: 2000 reports online today at, say, a low average of $100 each - that is bound capital (not to mention the gems themselves). Many gems have two reports, plus they are re-made every 5 years or so. Some cost-cutters have asked: why invest in reports? Because it's part of our all-out service commitment. Only with a lab report already done, can you be 100% sure about what you order. No surprises after the fact on this website. You won't believe how many surprises come back from the labs, even amongst pros. A 3rd party report also proves that the gem is actually in our stock, not just a photo of a gem which we will source after you have ordered it, as practiced elsewhere. Furthermore, each gem is absolutely identified with a report and cannot be offered on other websites. Most importantly, however, a 3rd party report kills wishful grading, avoiding subjective opinions on colors, clarity, gem-category, and of course treatments. For those reasons, we permanently have $200K cash locked in gem reports only. All for your peace of mind, and this is just one example.